Tessa Scott, of SCOTT. Design & Text, is a designer, writer & teacher from New Zealand who lives in the northern port city of Hamburg, Germany. When she isn't creating corporate identities for ex-pat entrepreneurs or translating and proofing texts for clients from the arts and culture industries, she can be found pottering in her allotment or writing and maybe even illustrating stories, poems and other short texts. Tessa has a swathe of undergraduate degrees in literature, fine arts and design as well as being a trained and experienced teacher. In Sydney she worked as an in-house designer for Living Sydney Museums, and in Auckland as an art & art history teacher. 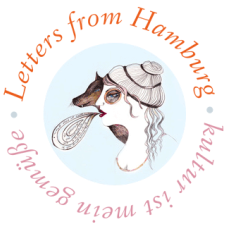 Shortly after completing her MA in Creative Writing at the University of Sydney in 2006 she packed her bags for Hamburg where she found herself learning to speak German and embarking on a new career as a freelancer.